The Pink City, the royal city, the cradle of the gemstone trade, the crossroads for fabric artisans… The city of Jaipur, India, has many nicknames that all convey a different facet of its rich history. Here's a look at the capital of Rajasthan that's given its name to our new collection of home linens, found exclusively at Simons. From our first few moments in the city of Jaipur, we’re stuck by its authenticity. It might be due to the capital’s rich royal past, but a mythical aura seems to permanently surround the city, like a distant dream of a lively and fast-paced life. Over the course of our visits, we learn more about the city's history. In the 18th century, when the Maharaja made it the political seat of Rajasthan, its economy quickly grew. Infrastructure, streets, and palaces were built, and the intellectual and cultural life of the capital flourished. The city's founding sovereign, Jai Singh II, was also a notable mathematician and astronomer. Among other things, he is responsible for the magnificent observatory that you can still visit today. You only need to stroll Jaipur’s streets to feel the pulse of its glorious past. The capital's architecture still echoes the golden age of the Maharajas, beginning with its pink walls, which it owes to a tradition carried on since the visit of Prince Albert in 1876. At the time, the Queen asked that all the city’s walls be painted this colour symbolizing hospitality in order to give the great British prince a warm welcome. This helps us to better understand the inviting sensation that greets us at the city’s gates. 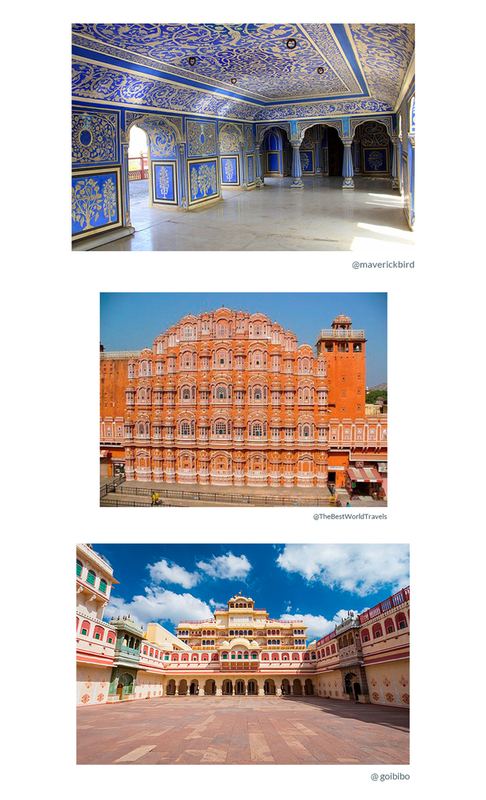 When we refer to Jaipur as the Pink City, it’s the capital’s iconic and very poetic Palace of the Wind, the Hawa Mahal, that first springs to mind. 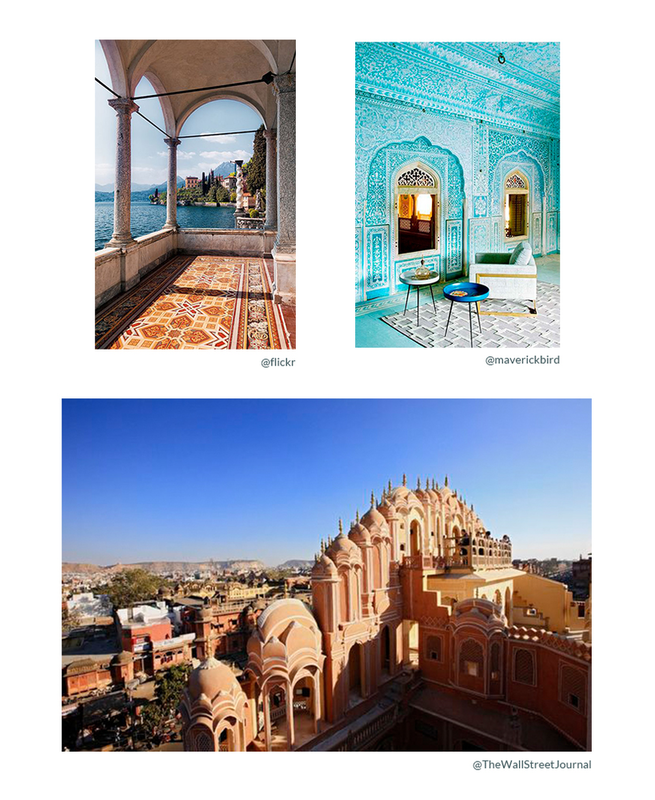 Then comes City Palace and its gardens, Amer Fort, the observatory that’s three hundred years old, its stalls of precious stones and high-quality fabrics that make the city sparkle… Really, its architectural jewels are everywhere. And that’s not to mention its vibrant cultural life, its impressive and colourful elephant festival, and the mesmerizing scent of the traditional cuisine that delights the senses. After only a few moments in Jaipur, the city is already working its magic. We can’t go to Jaipur without stopping by its textile museum, the Anokhi Museum of Hand Printing. Textile art is one of the foundations of tradition in the city and in India. The bright, colourful garments worn by the Rajasthani people and the exceptional quality of their fabrics that are prized all over the world are a real feast for the eyes. 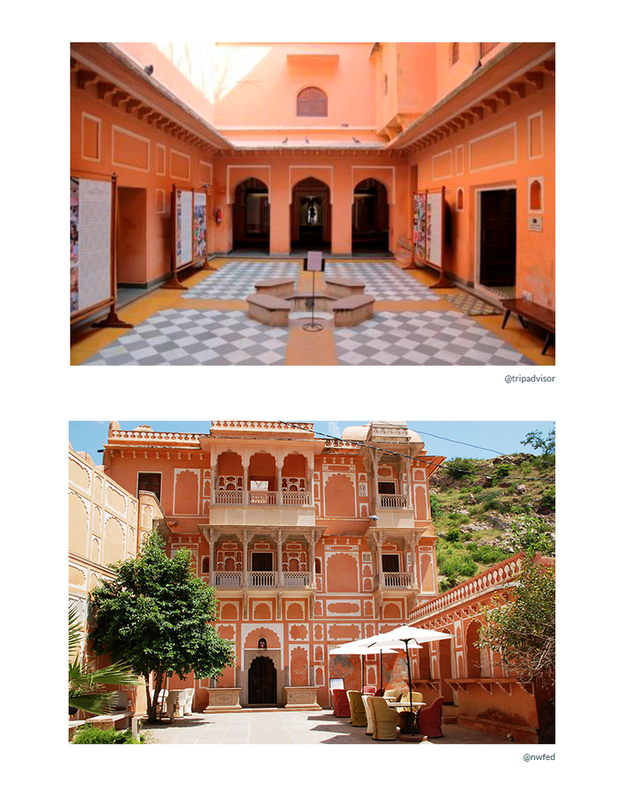 A visit to the Anokhi Museum of Hand Printing is very informative for those who want to understand the place of bright textiles and clothing in Jaipur's culture. Not only are the colours obtained from natural, plant-based dyes, but the patterns also have a meaning. 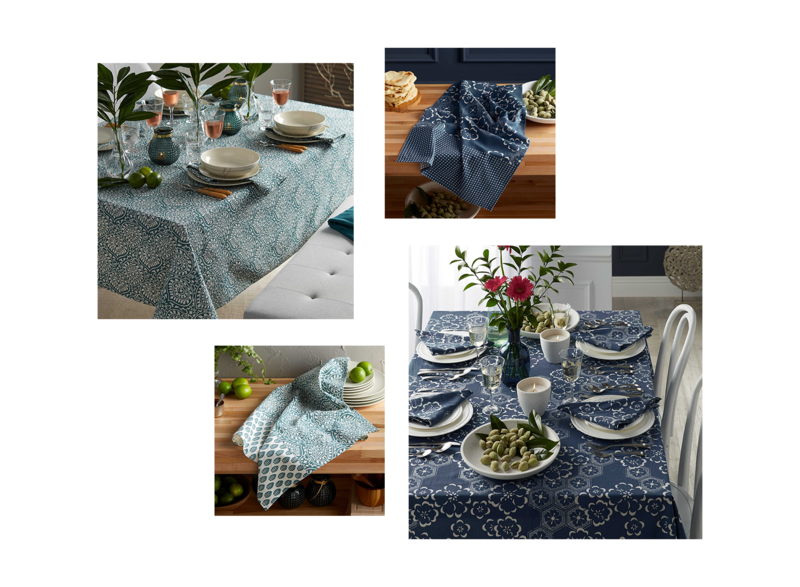 Historically, they were made using the age-old technique of woodblock printing. With the help of an engraved wooden block, the artisans made an intricate and complex arrangement of colourful floral and geometric motifs. The resulting fabric succeeded not only to dazzle, but also to serve as a cultural and artistic expression of an entire people. 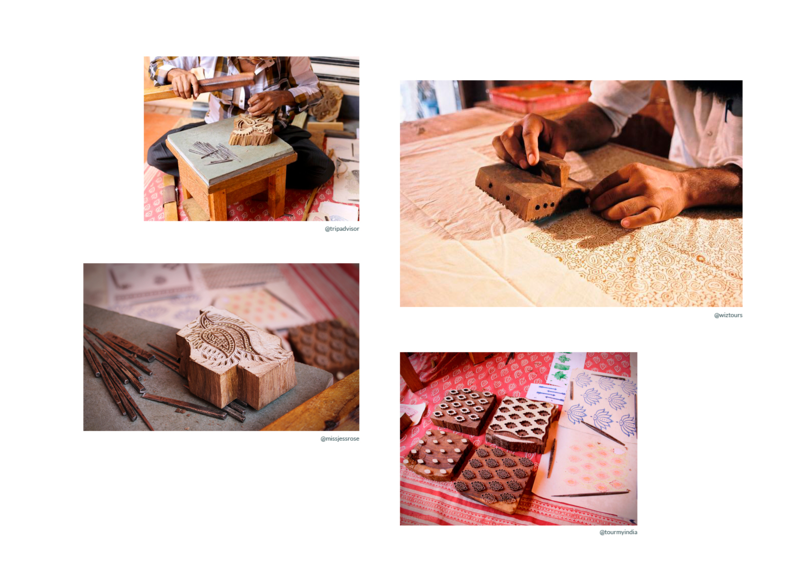 After experiencing a significant decline throughout the 20th century in Jaipur, Indian block printing is making a comeback. It's taking advantage of the youthful energy that's increasingly opening the city up to the rest of the world. And there's no need to travel to the land of spices to enjoy the beauty of its textiles, since now, they're coming to us. As with all traditions that become popular, you can often find simplified imitations of woodblock prints that are mass-produced by machine. For the Simons team, however, this was an ancestral art that deserved attention and care. Touched by its beauty, we chose to present this technique in its most authentic form and printed our pieces by hand. 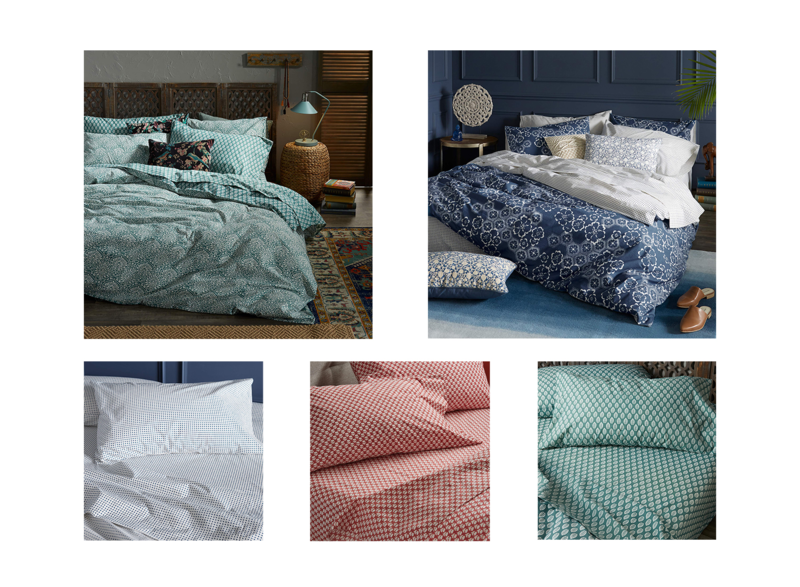 It’s with this fresh and creative momentum that Simons is launching its exclusive Jaipur collection of home linens. 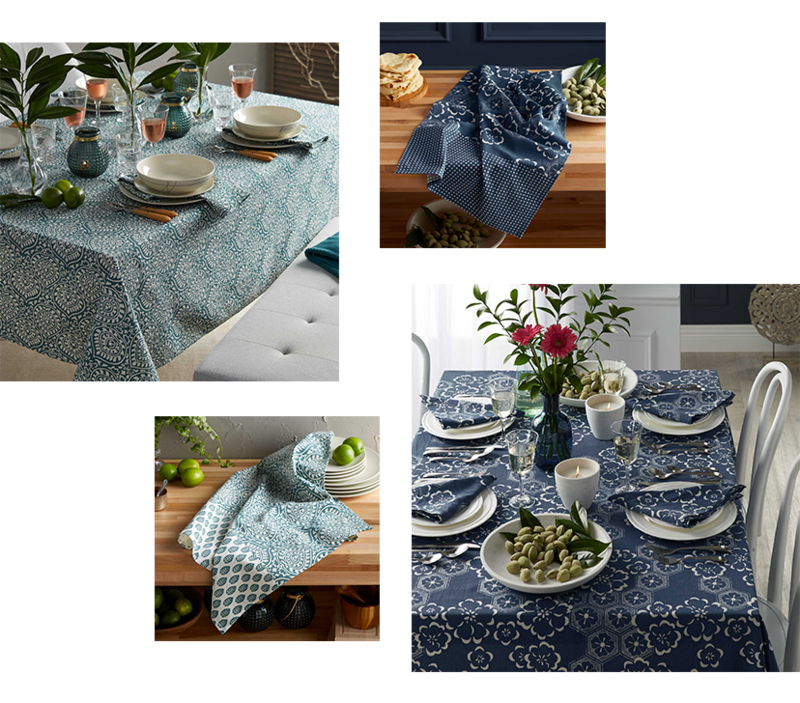 We’re enjoying integrating one-of-a-kind motifs, vivid colours, and rugged materials into our decor to give it a unique and cosmopolitan feel that’s inspired by this fascinating culture. 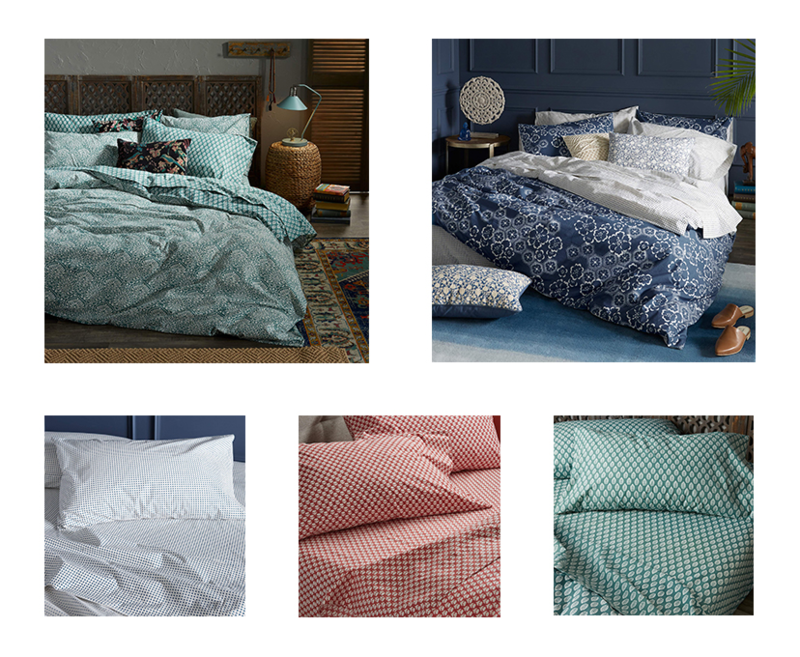 In the bedroom, the collection's colourful patterns that have been hand-printed using a woodblock stretch out on duvet covers and sheets to cradle our adventure-filled dreams. In the kitchen and dining room, the depth and authenticity of the colours on our tablecloths, table napkins, and kitchen linens make it so we can almost taste the flavours of traditional Rajasthani cuisine. 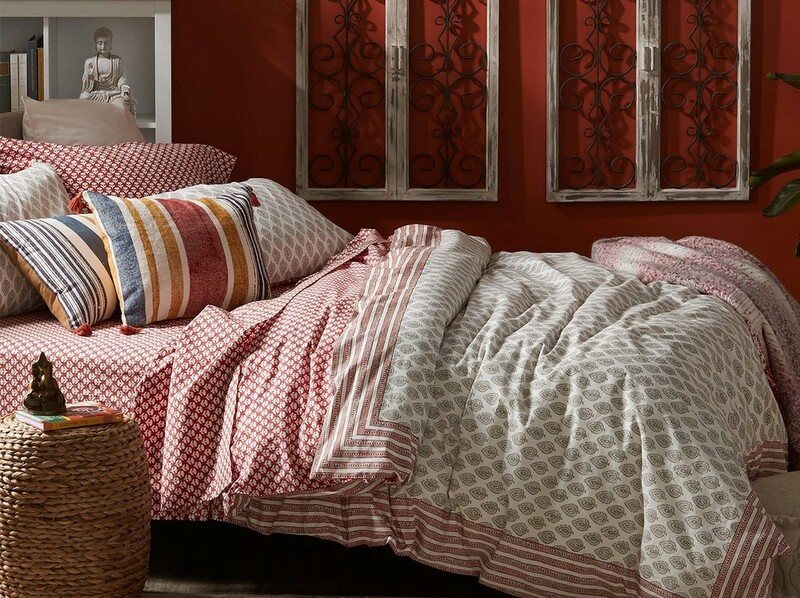 In this exclusive collection of textiles by Simons Maison, Jaipur reveals its authentic self before our very eyes. Its prints, in which colourful motifs combine with artisanal techniques, are intended to be a vibrant homage to the rich culture of Jaipur and above all, an opportunity to welcome it into our homes.